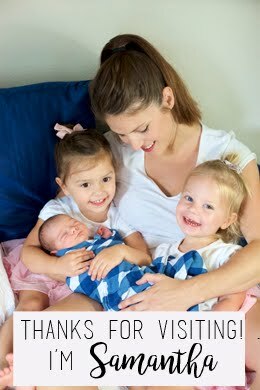 Although I'm sure majority of the people who follow this blog could care less about cloth diapering.. but for me it's what I'm into now and actually have become kind of passionate about it and all the pros regarding cloth diapering.. so here it goes, the update! Most people recommend a minimum of about 24 diapers, if you don't want to be doing laundry every single day. I started out with 12 and quickly realized if I really wanted to cloth diaper full time I would need more. Some people choose to do a little cloth a little disposable, but I figured I needed to jump feet first and really tackle cloth if I wanted to save money. I ordered most all of mine from Amazon and kellyscloset.com. They sometimes offer great deals! What brand is the best & what style? 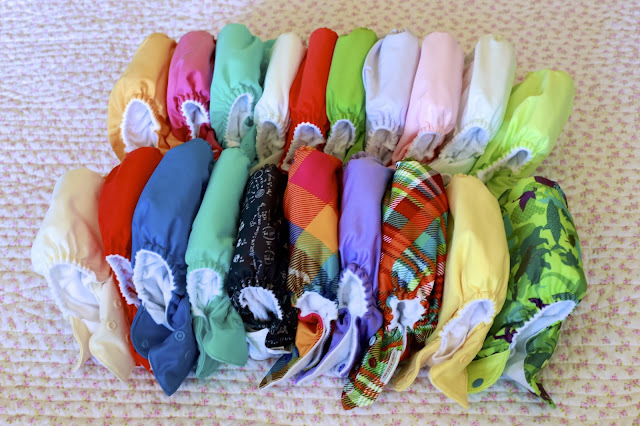 There are tons of styles and brands out there for cloth diapering. After extensive research and talking with friends who cloth diaper I decided to go with the Bum Genius 4.0 Pocket Style One Size diaper. This diaper allows your baby to wear them from infancy through toddler town. The pocket diaper allows you to add additional liners for when your little one is wearing the diaper longer than 2-3 hours. (like overnight) I recommend the snaps over the velcro. I've read that babies tend to learn how to remove the velcro diapers once they get older and that the velcro eventually wears out. I also recommend the Rumparooz Reusable Pocket Diaper. These are a little bit more expensive than the Bum Genius but basically do the same thing. The only differences are that the Rumparooz are a bit more trim (less bulky), they have a super soft fleece liner, and dual gussets. So far I'm really loving both brands and they both get amazing reviews every where I've looked. The 'experts' recommend washing every third day. I typically wash every other day but once my cloth stash grows I plan on washing every third day. After tons and tons of research about special detergents I kept coming back to Tide Original Powder- Fragrance Free. So many moms vouch for this brand to really get the stains and smell out compared to the expensive special cloth diapering detergents out there. It is especially important that you don't use anything with fragrance. Upon changing remove the insert from the diaper and place entire diaper and insert into large wet bag. 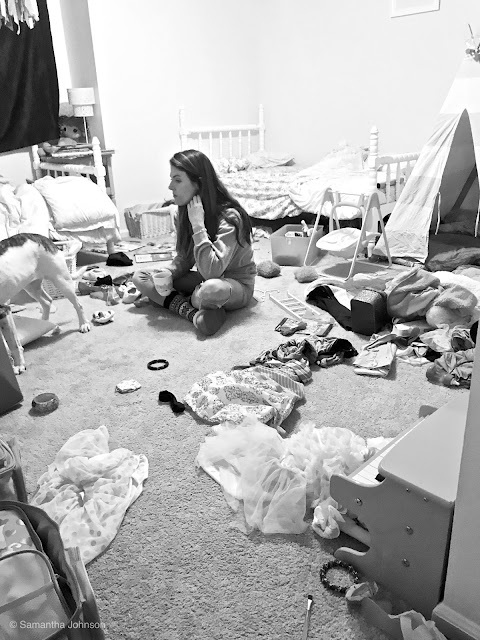 This was definitely the most daunting aspect of cloth diapering for me. I always thought it would be super gross and not worth the mess. Come to find out it is not too hard at all. Many baby websites and stores carry diaper liners that can be used for cloth diapers. They are super duper cheap and kind of resemble a dryer sheet. When you know your little one is going to go #2 (and you begin to understand their schedule) place a liner in the cloth then when they go the liner basically catches most of the poo and you simply place it in the toilet and flush it. Of course these liners are not necessary at all and I don't use them all the time, but they are super helpful! With my method of washing I have yet to have a problem with stains. I have read numerous blogs and advice about how to treat stains and one of the most common answer is to sun bleach the diapers. This basically means placing your diapers in the sun to dry and bleach out stains. What do you do when you aren't home? Taking a baby with a cloth booty out isn't a bad deal at all. You simply bring extra diapers and when they need a change instead of throwing away the diaper you place it in a smell proof wet bag. This is the brand I have: Planet Wise Wetbag. I have a small one for my diaper bag and a large one for the nursery. How to prevent & treat diaper rash?